The RED DOOR opens to the Priestess path, a path of devotion to the Great Goddess and service to Her children. This is a path demanding your most courageous commitment to the Great Mother and to yourself. It begins with an intensive 9-day opening retreat, introducing the participants to the Woman Mysteries synthesis of Goddess knowledge, feminist spirituality and subtle body energetics and the specific skills required for a Priestess in the lineage of WOMAN MYSTERIES OF THE ANCIENT FUTURE SISTERHOOD. The full Three Year RED DOOR cycle provides the opportunity and support to develop and integrate these skills. It is an accelerated path of coming to consciousness and power as a woman, for individual evolution and global transformation. The training may be taken for personal empowerment or towards ordination as a Priestess. For empowerment to be full it must activate and integrate all aspects of self: physical, emotional, mental, and spiritual. This full spectrum is provided by the Woman Mysteries' matrix of Goddess Studies, Feminist Spirituality and Subtle Body Energetics. We teach in an experiential, non-linear way; all the components of the work are present from the beginning and unfold spherically. Because the work is body-based, it moves beyond ethnic and religious boundaries. The Tantric Dance of Feminine Power™ is the Womb-Sourced Yoga of Feminine Wisdom™ which has emerged from the inherent intelligence and power of woman’s body: Womb. This is the Yoga of Shakti. The practice is devotional, spontaneous, self-referred, and can only be discovered by direct communion with the deep innate intelligence and power of the body. The Dance is based in profound Pleasure. Though trivialized, distorted and profaned in the world today, in reality Pleasure is a central mystery of authentic power. It is inseparable from Shakti, the cosmic feminine creative force. The Tantric Dance of Feminine Power provides an unusually rapid path of self-evolution. What you can learn in one Dance experience might take weeks, months or even years of study without the Dance. With this acceleration and depth comes great challenge. You must be ready to hold power and bear the responsibility that comes with it. Focus on educating self. Learning Goddess Herstory and the Woman Mysteries skills, modalities & subtle body energetics. Deepening personal process and self-knowledge. Refining Woman Mysteries skills and subtle body awareness. Expanding sphere to mentoring the new women & serving the community. 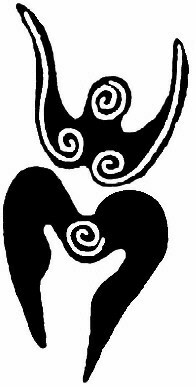 Spiral Three: Walking as a Priestess--Establishing and Expanding. Establishing individual priestessing focus in concrete terms. Expanding sphere of influence to serving community and world at large. provide the archeological, anthropological and mythological evidence of civilization’s pre-patriarchal roots. It builds the conceptual framework in which we dismantle our internalization of patriarchal distortions concerning the nature of civilization, humanity and being in relationship with feminine power. Goddess Studies is potent spiritual medicine. This is especially true when reading and discussion are taken into direct knowledge and activation of Her powers through subtle body awareness and personal & group ritual. We experience a particular goddess’ energies, origin, powers, animal epihanies, iconography, symbols and herstory through co-created spontaneous ritual which can include sacred dance, exploratory movement, toning and sounding, shamanic healing, guided meditation, drumming, storytelling, imagery and poetry. is Earth-based and celebrates the cyclic nature of life, the Earth seasons (Wheel of the Year) and the moon and menstrual cycles. Death is not demonized, but rather honored as a natural part of the cycle. Feminist spirituality recognizes that all things, even so-called inanimate objects, are interconnected, alive and inherently sacred. Thus, the four elements are sacred, living forces whose inherent powers can be communed with and called on in ritual and magic. Our work includes Women’s Blood Mysteries, magical & ritual skills, ethical spellcraft, and cycling with the Moon as relates to our personal natal astrological chart. We explore feminist consciousness and its perspectives on patriarchy, including both societal and internalized misogyny and racism. Subtle Body Energetics is attunement with the body’s language that gives direct experience of Spirit. The body speaks through subtle sensation, breath, sound, movement and e-motion. Conscious awareness and participation at the subtle level of this language creates a portal between dimensions and enables us to experience the ancient and future transforming power of Woman and Woman Mysteries. The work includes: shamanic dance, free-form movement explorations, breath work, and authentic voice work including overtoning, sounding as medicine, personal vocal development. How do I enter The RED DOOR? Six Day Tantric Dance I M M E R S I O N , May 13th through 18th, 2008 (Tuesday through Sunday). It gives us and you the opportunity to know if you have the readiness, passion, and commitment to sustain the challenge of the work. The Tantric Dance and other, related work makes this a direct, rapid path of self-empowerment. It will challenge you to the core to step into your power, hold that power and use it to serve in the world. Please contact us for information about the pre-requisites and make sure we can reach you otherwise (phone or web site, for example) to verify your data. We ask for your understanding and appologize for the inconvenience. Cost is $ 750.- tuition, 225.- lodging and meals. Scholarships and Work Trades: We do not offer scholarships or work trades - except for work on our land, "Shakti Moon". We do our best to keep our fees reasonable while at the same time recompensing the Priestesses in a reasonable manner for their livelihood. Also, we feel that it represents a very important component in a woman’s self-empowerment to meet the financial as well as the spiritual and emotional challenges of the work. A Red Door participant can increase her income by producing a public workshop for a Woman Mysteries Priestess to teach. The apprentice receives a percentage of the proceeds. This creates a win-win-win scenario. The apprentice gains income and also gains experience in producing which is often a necessary part of a Priestess’ work in the world. 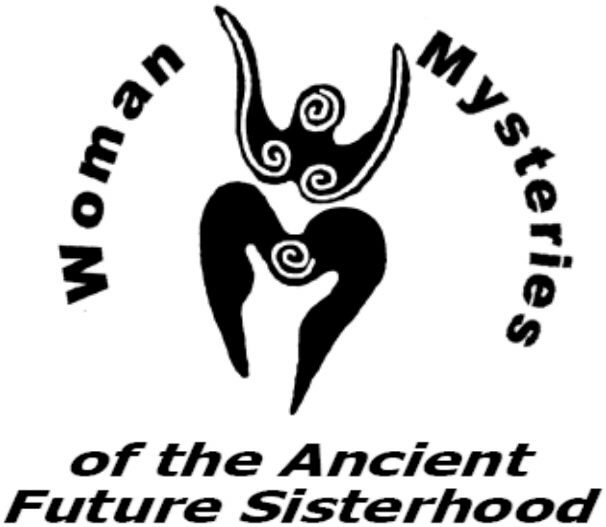 The public gains by receiving the benefits of the Woman Mysteries work and the teaching Priestess gains income and another opportunity to share the work. Subjects available for workshops include Tantric Dance (Women Only or Couples), Serpent Workshops, Moon Mysteries, Sacred Blood Mysteries, Men's Tantric Initiation, and more. We are open for suggestions. This retreat is open to all women whether or not they will step on the Woman Mysteries Priestess path. This retreat is pre-requisite for the Priestess training, but no one needs to commit to or is accepted into the full priestess training until after this retreat. It gives us the opportunity to know if you have the readiness, passion, and commitment to sustain the challenge of the work. We will be joined by one man, our first priest-in-training who has been practicing the Woman Mysteries work for more than four years. He will participate except for women's sacred blood mysteries. Prerequisites for this as for all other retreats and events is that the participant be in good physical and emotional health and neither using nor withdrawing from use of addictive substances, including smoking. Smoking tobacco is allowed in designated outside areas only, but discouraged. No smoking of any other substances, no drugs and no alcohol. The Politics of Women’s Spirituality Charlene Spretnak ed. By accepting a woman into the RED DOOR Priestess Training, Woman Mysteries in no way guarantees ordination. There is no formula for this work. We enter into this quest in mutual good faith. Ordination occurs when we mutually know you are ready. The Tantric Dance Circle is an opportunity to experience the depths of the Dance with only RED DOOR women. The Teleconference Circle (usually with Vajra Ma) includes all the RED DOOR women from various geographic locations. Agenda includes discussion of reading and progress in the work, vocal work, reading of dance papers, and more. Weekend Retreats (Thursday through Sunday) Geographic location varies. A minimum of 31 Tantric Dance classes in addition to the 4 Tantric Dance Circles. Private Sessions Two private sessions with Vajra Ma or another Woman Mysteries Priestess. Fees are included in the full tuition. Four Holy Day rituals for RED DOOR women only. Completion of Reading List of Goddess herstory, feminist consciousness, Tantra and an astrology workbook. Moon and Mini Journals. A formatted mini-journal is provided for the apprentice to signpost her insights, challenges and growth in the work. The mini journals are turned in 8 times a year, at each Holy Day. The Moon Journals are turned in each month. One-on-one mentoring with a Woman Mysteries Priestess for Moon and Mini Journals. Energy exchange (non-monetary) determined by mentoring Priestess. For tuition and schedule, inquire at 541 951 4151. Individual events will only be announced by email to a closely monitored list. and make sure we can reach you otherwise (phone or web site, for example) to verify you data. We ask for your understanding and appologize for the inconvenience. We will be joined by one man, our first priest-in-training who has been practicing the Woman Mysteries work for more than four years. He will participate except for women's sacred blood mysteries. Note: We reserve the right to make changes to schedules, tuition and curriculum as necessary. activating knowledge that cannot be found in books.